Autumn is a great time to have a party. If you live in a Northern climate, then there's an edge to the air. Soon enough it will be so cold that no one will want to leave their houses for a few months. But for now people have energy from all that summertime sunshine and they're willing to meet up with their friends. So, if you're enticing people over for a macabre Halloween party then you'll need to set the scene! Dim the lights, set out some candles, and play some organ music (maybe nix the organ music, people will never come over again). And most importantly, you've got to accessorize! Refreshments are much more fun when they are sipped from thematic cups! This electroplated shot glass has a classy metallic hue. 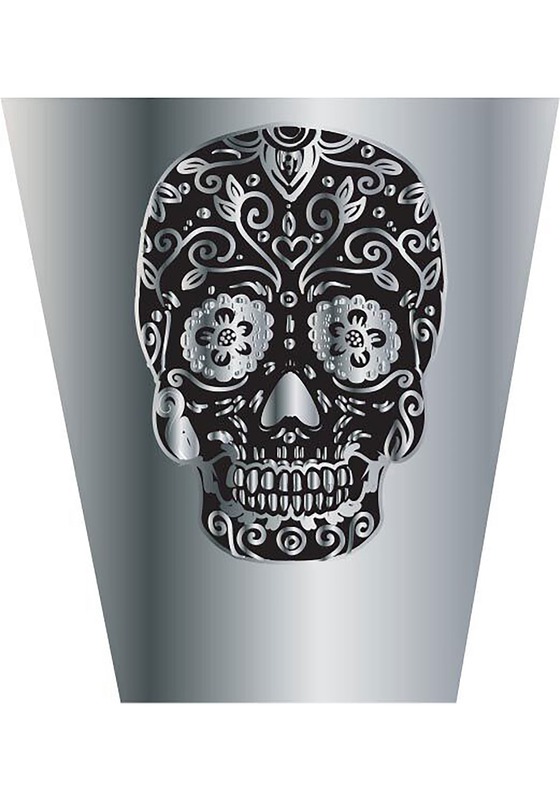 There is a gorgeous black sugar skull applied to the glass, making it a trendy glass that you can use all year round. Whether you're celebrating Day of the Dead or you're partying for Halloween, this shot glass will be a great accessory for your soiree. We're sure the ghouls and ghosts that float around this time of the year would approve of this shot glasses vibe, as long as you're drinking responsibly. Because in the end, ghosts just want you to have a good time!